Last week I finally got my TWH Grove RT540E. 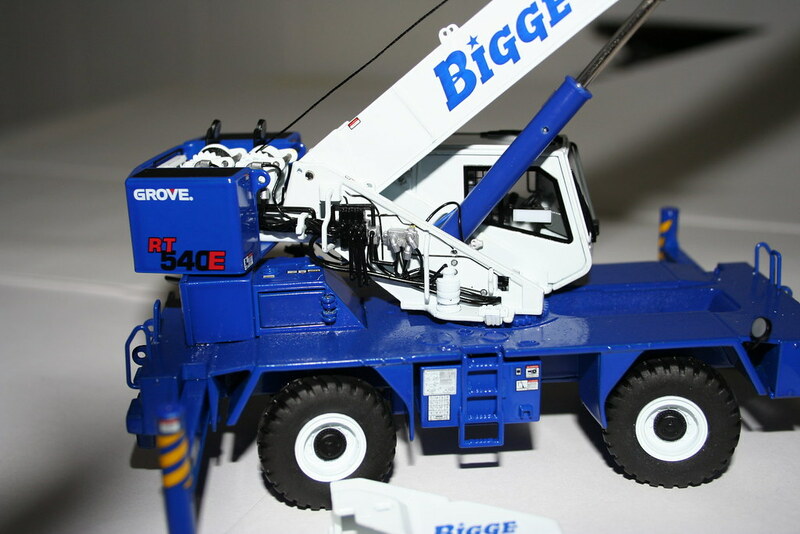 Let me tell you this is a nice little crane. I know some complain about the TWH prices, but from what I've seen from others ,like the NZG RT700E of a couple of years ago, well there is no comparison ( yes I know, YCC has already topped this with their own just released RT, but for a lot higher price). 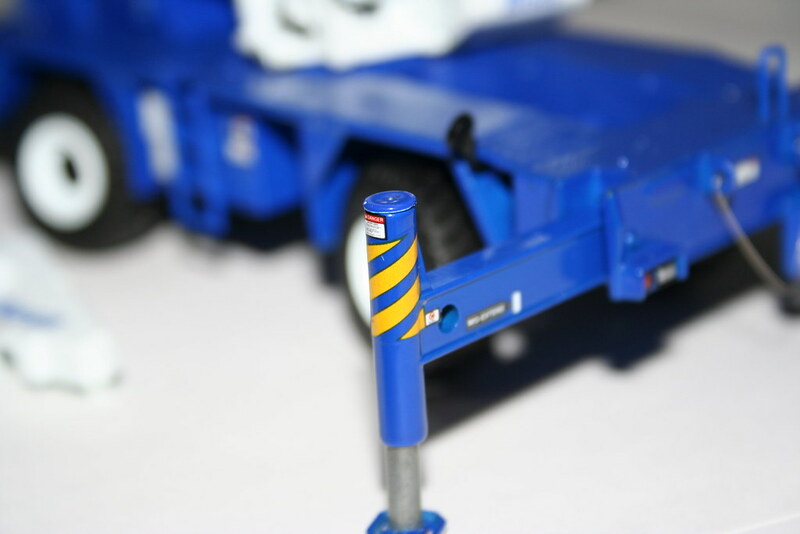 Great casting, detail and working features. 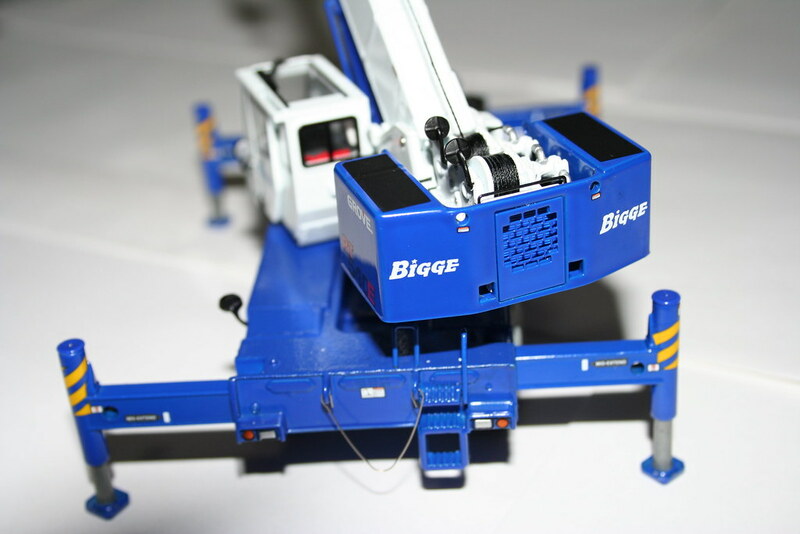 Of course I had to have the Bigge livery as they are a local company. 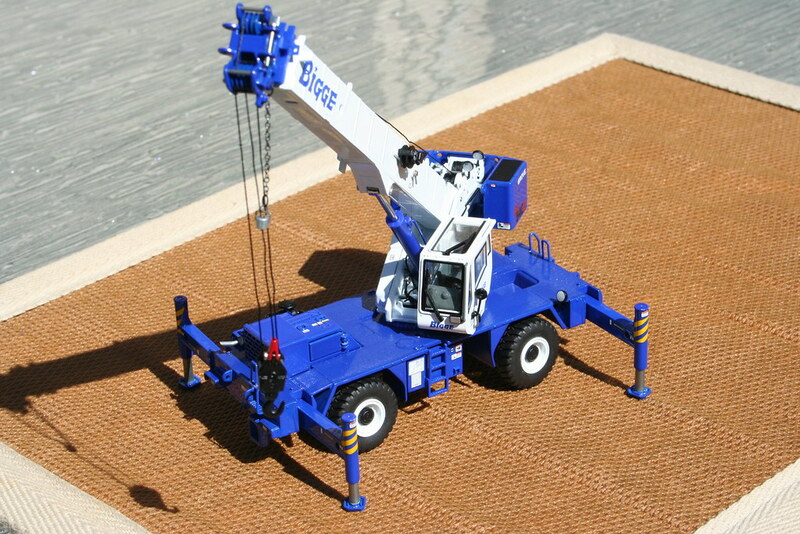 Their cranes are very active in all major civil and government constructions in Northern California and they have long history. 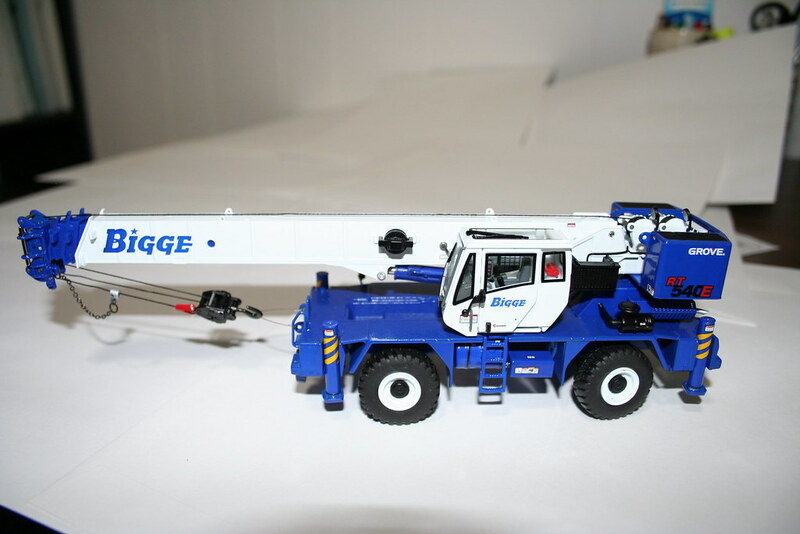 More info on Bigge Crane and Rigging. it's an awesome model, but I don't understand why they didn't provide a headache ball instead of the same hook block already on the model? The more I see of her makes me want to get it. 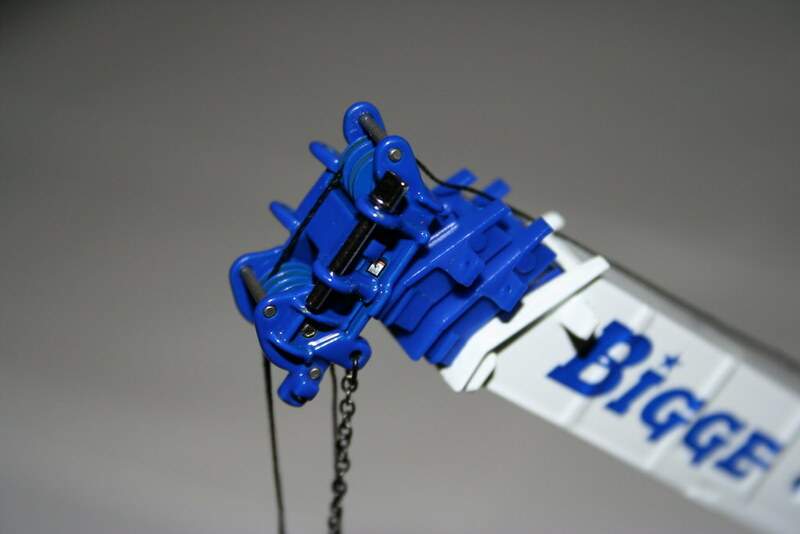 Good pics showing the detail and the blue & white looks good. Now all you have to do is re-string it with Musky Master line. You're right Tom, the addition of a headache ball would have been nice, but that's easy to remedy. I got a couple of those. 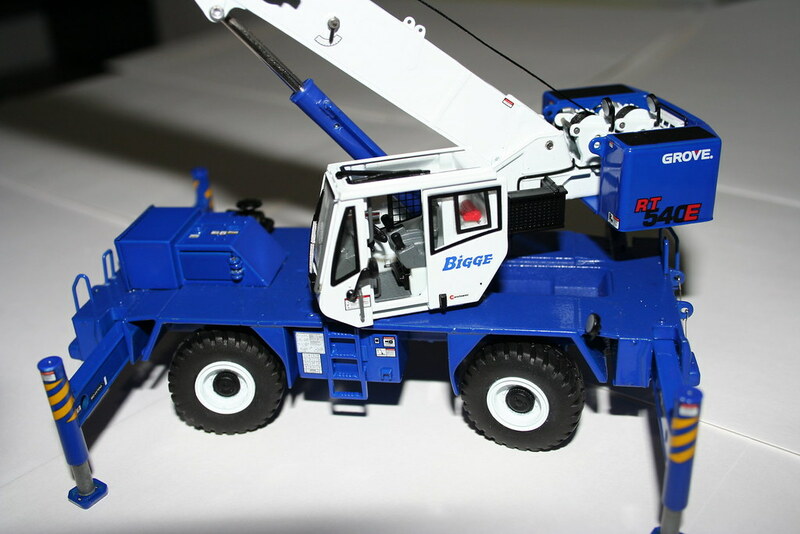 Thanks Sean, I didn't understand the hook block, I am no crane guy whatsoever, but looking at the one already reeved on the crane, where and how do you reeve this one onto the second one provided? I don't have any other headache balls, and I am definitely not paying $17 for the one on DHS, so oh well, I think the crane looks great without the jib attached! 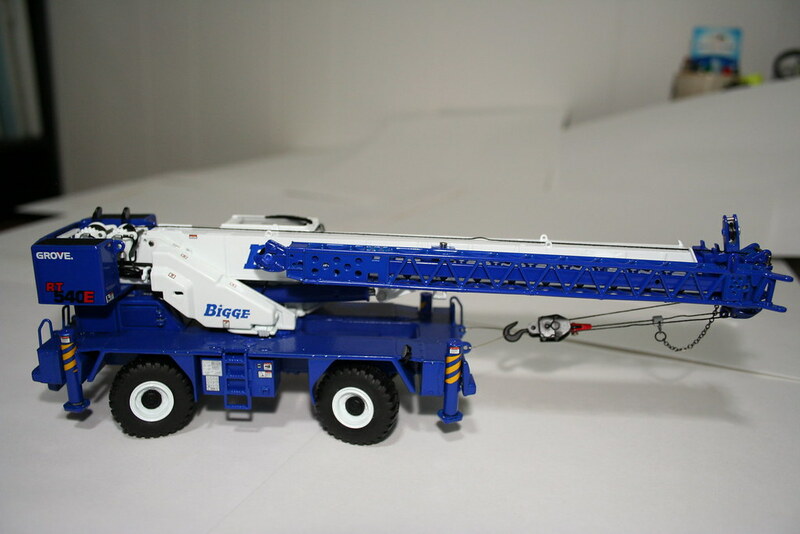 Does look quite a nice crane and very good pictures also!